This is a recipe I picked up while living in Georgia for a very brief period of time. It is definitely the second most favorite thing that I took with me. It was love at first bite! Thanks Claire! If you love mushrooms and cheese, you are about to experience a very lucious, decadent dish. The best thing about mushrooms is that just 3 mushrooms provides a whole day supply of vitamin D and is probably the only source of vitamin D in the produce aisle! The only down side to mushrooms is their recent hike in cost! This week, however, the grocery gods were smiling upon me and I actually got mushrooms on sale! Preheat oven to 400 degrees. In a large stock pot on medium heat, melt together butter, salt and pepper. Add mushrooms and stir to coat. 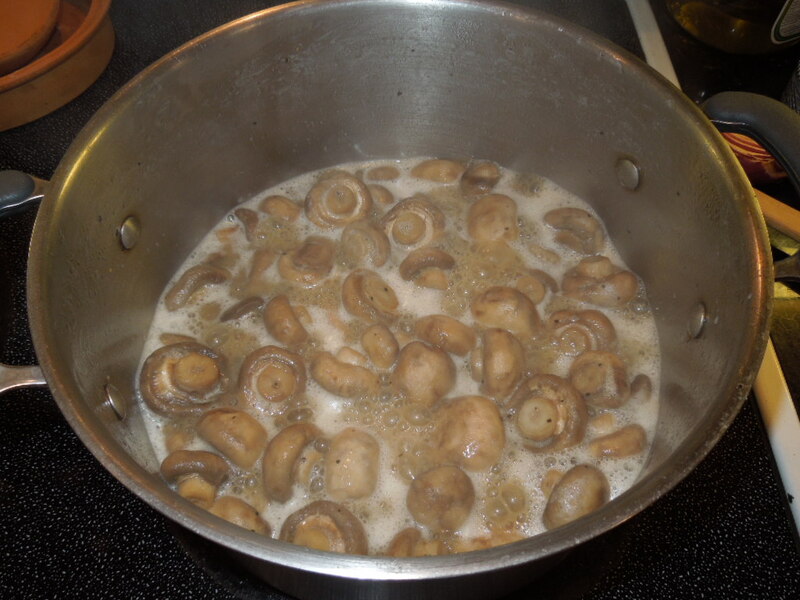 Allow mushrooms to cook until almost all liquid in pan disappears (around 20 minutes)*. Add half and half and allow to cook until again almost all liquid has disappeared. 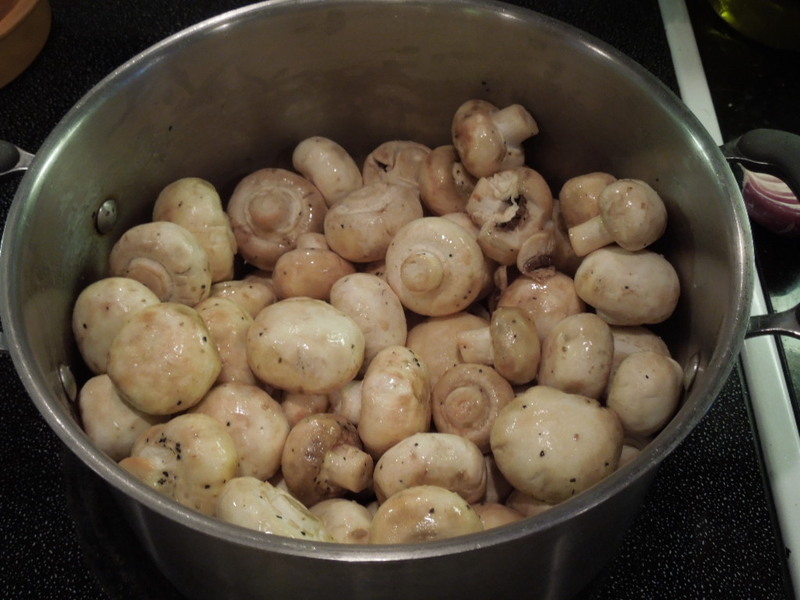 Transfer mushrooms to a glass baking pan or casserole dish and top with mozzarella cheese. Bake for 15-20 minutes or until cheese on top has melted and begins to brown a little. This dish can also be prepared ahead of time, stored in the refrigerator and finished in the oven later, though you will need to increase your baking time to 30-35 mintues. You could even do this in little ramekins if you wanted. 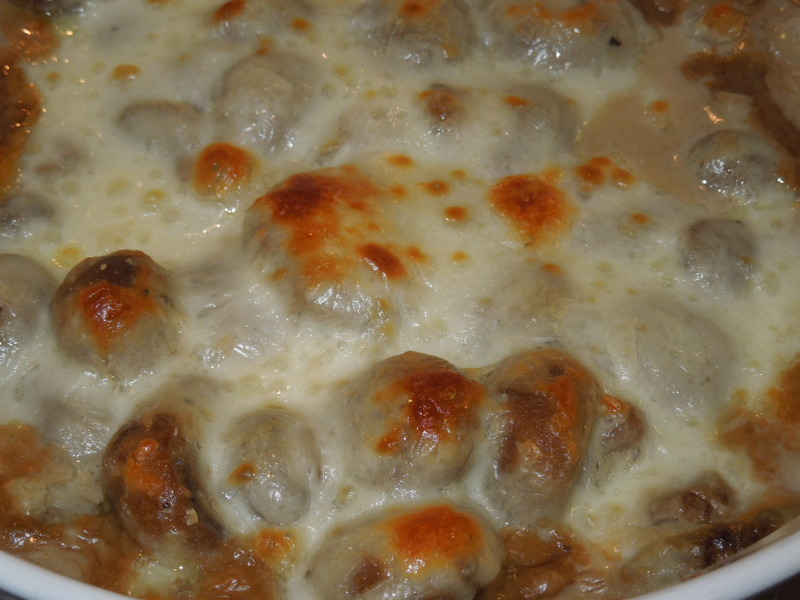 Tags: casseroles, cheese and mushroom recipe, creamy mushroom casserole, creamy mushroom recipe, diabetic friendly recipe, food, food recipe, make ahead dishes, mozzarella and mushrooms, mushroom dishes, mushroom recipes, mushrooms, recipe, vegetarian dishes, vegetarian mushroom recipes, vitamin D in mushrooms. Bookmark the permalink.